Does the future of organ transplant lie in bioprinting? Nothing could be more painful for patients and their families than waiting for an organ to save their life. According to latest NHS figures, the average wait time for a kidney transplant is 944 days – despite a significant decrease from 1,153 days previously, two and a half years is a long time to wait. To make matters worse, during this period families suffer from heavy financial turmoil, with medical conditions leading to the potential loss of income. This can be disastrous if the patient-in-waiting is the primary earner of the family. However, long waiting times are not the only complication involved with an organ transplant. According to NHS statistics, there is a huge disparity in supply and demand, with just 2,456 organ donors compared to 6,388 patients requesting transplants in 2016⁄17. The situation becomes more complex as an organ transplant is, in and of itself, non-trivial: organ donations require immunocompatibility between donors and recipients, similar to blood transfusions, where criteria such as blood group and Rh status also need to be met. Moreover, the patients may fall victim to infections due to the immunosuppressants administered during transplantation. Alternatively, they might develop undiagnosed medical conditions such as HIV, Hepatitis B, or cancer from the donors themselves. Currently, organ supply is filled with altruistic donations, but there is also a black market for organs; though illegal and unethical, this industry is very much present, especially in developing countries such as India, China, and Nepal. Recent developments in medical science could tackle these issues with one example being additive manufacturing – commonly known as 3D printing – which may allow for bioprinting of organs! Through this process, an organ can be designed using a modelling software, and then printed with biomaterials such as polymers and hydrogels, in addition to the patient’s own cells. 3D-printed organs, if successfully produced, could tackle the big three obstacles in organ transplants: patient wait time, financial and emotional distress, and immunological failure. Currently, 3D bioprinting has a significant presence in customized implants, prosthetics, and working models for simulating the effect of drug treatments outside the human body. While the use of 3D printing to eliminate the crushing deficit of organ supply is ambitious, it could be a revolutionary change for the healthcare industry – extending people’s lives, as well as their productivity. Experts in this field, however, have issued caution against keeping hopes too high. Jennifer Lewis, a bioengineer at Harvard University, is positive about the developments but suggests that the complicated architecture of organs such as livers and kidneys means bioprinting is unlikely to be plausible solution in the immediate future. Another expert in 3D bioprinting, Dr. Anthony Atala, director of the Wake Forest Institute for regenerative medicine, has a more positive outlook: he has successfully led a project to grow a human bladder using bioprinting and transplanted it to seven young patients suffering from spina bifida, a condition which can cause bladder problems. He has also set his eyes on bioprinting kidneys – one of the organs most commonly in demand. In a seminal TED talk in 2011, he displayed a kidney which had been printed on a machine earlier that day. But while the talk was a smashing success it also invited heavy criticism: the kidney was an artificial model and not functional, and he was accused of misleading the audience. According to Lewis, though the science is progressing in the right direction, it is still a long way from providing real assurances to patients in need. 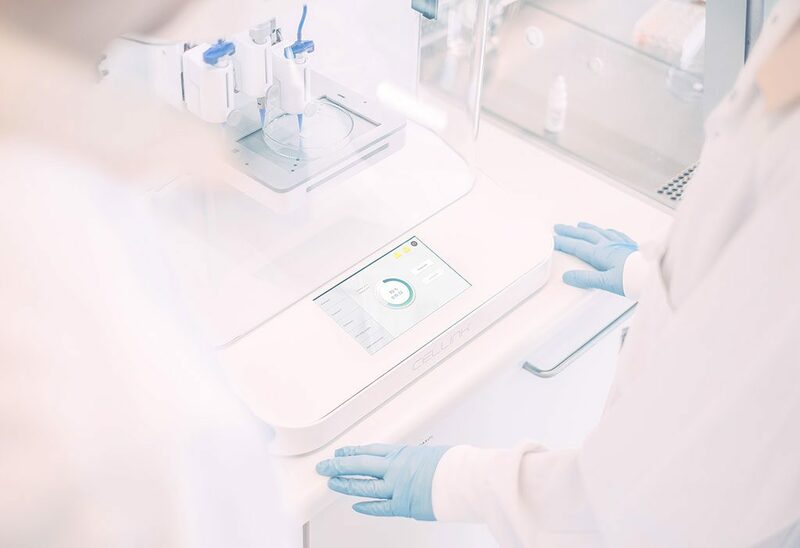 At present, many scientists are debating the actual potential of 3D bioprinting however, with a number of companies trying to make it commercially viable. Cellink, a Swedish based company founded last year, develops new biomaterial as “ink” for 3D bioprinters. With customers in 25 countries across the world – including researchers at MIT, Harvard, and University College London – its success story explains the fact that they have enlisted for an Initial Public Offering (IPO), becoming a publicly traded company just ten months after being founded. It’s a noteworthy achievement, which exemplifies the market potential of organ bio-printing. Organovo is a much older name in this field. They state their goal is “to build living human tissues that are proven to function like native tissues, with reproducible 3D tissues that accurately represent human biology”. While their current products revolve mostly around providing in vitro tissue models for drug testing, they are actively investing in developing artificial organs ready for transplant. Furthermore, this field appears to be extremely lucrative, with a report suggesting that 3D printing has a potential of being an “$8.9 billion industry, with $1.9 billion (21%) projected to be spent on medical applications”.